Cast: Vivek Oberoi, Surya, Shatrughan Sinha, Priyamani, Radhika Apte, Sudip, Subhalekha Sudhakar and others. Varma is known for controversies. He made a thorough research on the life of Paritala Ravi and met the people, including his wife and other followers to know the real facts behind the killing of gangster-turned-politician. The director claims that his intention is not to bring out a film on Paritala Ravi, but wanted to use the real life incidents in his life for his film, which has a fictitious subject and fictional characters. Whether it is the portrayal of the real life story or not, RGV succeeded in creating some controversial issue over it and the protests of the Telugu Desam cadres helped him in making the first part a success and hit. Read on for Rakta Charitra 2 Review. has done justice to his character and his performance remains a highlight of the movie. In the second part, Pratap Ravi concentrates on his political career and turns a minister with the blessings of his mentor Sivaji. On the other hand, another person Suryanarayana Reddy (Surya) awaits an opportunity to avenge the deaths of his relatives, who got killed in the hands of Pratap. He hatches a plan and triggers a bomb attack through a TV on Ravi, where the latter survives. DCP Ananda Prasad (Sudeep) identifies the culprit as Surya. In order to catch Surya, Ananda Prasad takes his wife Bhavani (Priyamani) into custody and brainwashes her to pressurise her husband to surrender to police. Soon, Surya surrenders to police and goes to jail. While staying in prison he continues to plan for the elimination of Pratap Ravi. Even the minister also makes several attempts to kill Surya in the prison but fails in all his attempts. Meanwhile, some politicians, to settle their political scores with Ravi, helps Surya, who was in the prison. They also try to demoralise Pratap politically and give a party ticket to Bhavani to contest MLA election against Pratap Ravi. Unable to digest that a woman is trying to gain an upper hand, Ravi decides to kill Bhavani, but withdraws the bid following Nandini’s (Radhika Apte) intervention. To make Bhavani withdraw from the elections, Pratap meets Surya in the jail and the latter did not want to listen to him. Instead he makes it clear that his life ambition is to kill him. Disgusted at his answer, Pratap Ravi decide to contest the elections with a perfect planning. While discussing the election issues with his party men, Pratap Ravi gets killed by Muddu Krishna, an associate of Surya in the prison and the film ends with Surya being taken to the court for trial. 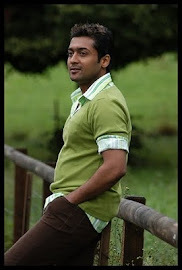 Surya has given an impressive performance all through the movie and his performance is the highlight of the movie. He has taken the entire responsibility of making the film worth watching. He perfect emotions is a treat to watch. Instead of showing bloodstained and cold blooded murders, this time, the director chose to portray the friction between two arch rivals on the screen. Both Vivek Oberoi and Surya has performed well and on screen they look like a real life rivals. But it was Surya who gained the upper hand in the second part. The director has etched Priyamani’s role too with perfect precision, while Radhika Apte’s character is normal. This time Priyamani and Radhika has got good opportunity to showcase their acting capabilities. To avoid the controversy on the lines of first part, the director has trimmed the role of Shatrughan Sinha. Kannada actor Sudeep has proved again that he is an excellent actor. Subhalekha Sudhakar has done justice to his role. Dialogues by Nageswara Rao are average and good in parts. Especially, he has penned one-liner and punch dialogues for Surya that are quite effective. Lyrics are just okay. Dharam-Sandeep has given an excellent background score, which elevated the emotions in the scene. Cinematography by Amol Radhod is another highlight of the film. He has captured the emotions with perfect precision. The usage of lighting in the film is great and he should be commended for portraying the film on the celluloid exactly as visualised by RGV. Ashok Gupta could have sharpened his scissors further to cut some unnecessary scenes. Varma should be complimented for narrating the story effectively and he almost succeeded in explaining the entire story. Those who have seen Rakta Charitra part one, would opt for watching the second part. So, there will be some definite audiences. 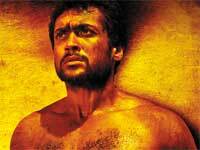 Moreover, the director’s choice to cast Surya would again prompt the other audiences to watch the film. The film has bagged an above average talk.